Divers exploring a bay off the coast of Sweden have uncovered artifacts from people who lived in the region during the Stone Age. The team of divers found the items while exploring Hanö, a Baltic Sea bay near Skåne County, reports The Local. Funded by the Swedish National Heritage Board and led by Södertörn University archaeology professor Björn Nilsson, the three-year excavation has so far recovered discarded items from between 10,000 and 11,000 years ago. 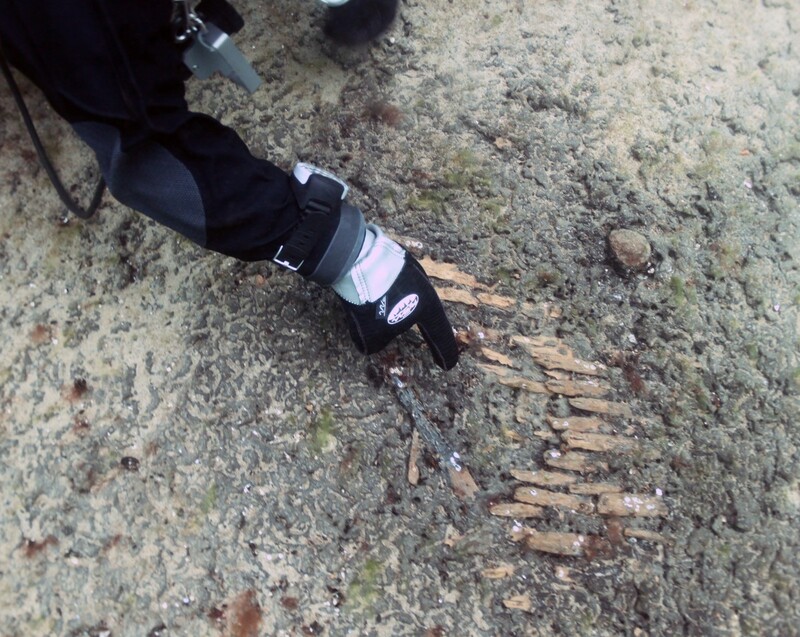 Divers explore a site of Stone Age artifacts discovered off the coast of Sweden. The discovery of the well-preserved tools and other items was not an accident, according to Nilsson. The area had been known to researchers for years, although it had never been comprehensively examined. "Five years ago, my fellow researcher and diver Arne Sjöström started to explore the rather vast area, and found remains (waste and garbage from settlements)," Nilsson told The Huffington Post in an email. Further exploration has since turned up more artifacts, and state-of-the-art sonar mapping systems have drawn a more accurate picture of the "drowned landscape," Nilsson said. Some of the most remarkable finds include organic materials such as implements carved from bone, antler and even wood. Protected by layers of sediment in the water, these items were preserved for thousands of years instead of rotting away. To laymen, an underwater location filled with tools and other detritus of a long-gone civilization might conjure up images of the sea rising in an instant to swallow whole settlements, and Scandinavian media were quick to label the underwater site a "Swedish Atlantis." But while tales of cities suddenly vanishing underwater have prevailed for centuries, Nilsson cautions against jumping to such sensationalized conclusions. "Atlantis still is a tale, a myth which always pops up when submerged lands are discovered," he said via email. "20,000 years ago sea levels [were] more than [300 feet] below present sea level so there are many 'Atlantises' around the world, then!" Still, Nilsson said the Baltic discovery should be celebrated in its own right because it offers researchers a "novel insight in prehistoric people," Nilsson told HuffPost." There are possible implications for climate science, too. Nilsson noted that researchers hope to collect environmental data -- tree rings and various sediments -- from the site in order to "reconstruct the time after the Ice Age in Scandinavia."